No flower is more a part of the quintessential English garden than the rose. Over the centuries, gardeners have celebrated it, nurtured it and developed hundreds of new disease-resistant, repeat-flowering varieties. But the old roses have never fallen out of favour, for their charm is unsurpassed. 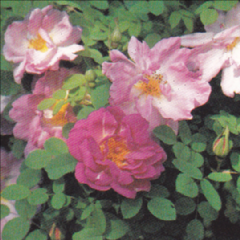 Plant your roses close to the herb garden to benefit from natural pest control. Herbs such as thyme, lavender, rosemary, lemon balm, chives and tarragon repel many garden pests. Chives help roses to combat powdery mildew because, like garlic, onion and leek, they contain sulphur compounds that are a natural enemy of this fungus. Even gardeners with difficult conditions can grow roses. Choose varieties that have been bred or hybridised to tolerate adverse conditions and even chalky soil. Some rose growers actually toughen up their plants by growing them without fertiliser and pesticides, and by rationing water. This creates plants that are much better able to grow in poor environments. Don't forget that you can improve the soil to encourage a tricky specimen to flourish. Choose a site that has not been previously used for roses, dig in plenty of well-composted manure or garden compost to boost the organic content of the soil and feed the rose well at planting. 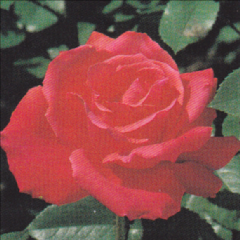 Once established, dose regularly with a dedicated rose feed and mulch with well-composted manure or lawn clippings. The best time to plant: Planting in autumn gives the roots time to establish before spring and ensures that the plants will flower better. Protect the crown and the roots of a new rose by applying a layer of straw. Roses planted in early spring will be less likely to suffer from frost damage than those planted in autumn, but they may need to be watered more often until they are established. In areas where the weather is harsher, plant in spring, but in milder regions, you can plant in spring or autumn. Be careful not to buy bare-root roses too early in the autumn. If they are lifted before time they may start to sprout if the weather turns mild, and these shoots will be susceptible to frost. 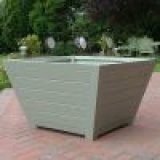 For the best results, wait until the natural resting period in late autumn or early winter, when the plants have shed their leaves and are dormant. Look out for new stocks of containerised roses from mid-October, or if the weather is mild, wait until mid-November, when plants are less likely to re-grow before spring. 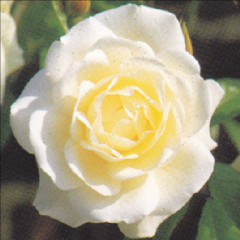 If you want a rose bush on which each flower will be a thing of beauty in itself, then chose a Hybrid tea. In this group you will find the largest blooms, the strongest fragrance and the perfection of fullness and shape associated with the modern rose. Bushes are winter hardy, but standards are sometimes killed by very severe winter frosts. Many new varieties appear every year, and generally they are superior in some ways to the older types which they may resemble. 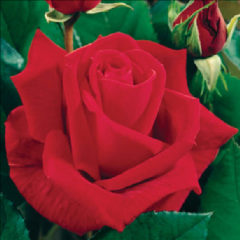 This is because hybrid rose stocks often deteriorate after about thirty years, and also because the great rose breeders continue to achieve new colours and shapes. 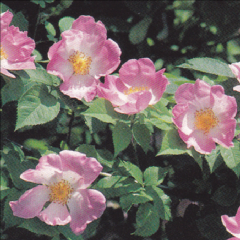 Most shrub roses in the wild occur as single, scattered specimens, with space to expand and show their flowers to advantage. In gardens where space permits, shrub roses should be grown in the same way, either singly, or in groups as highlights in mixed borders. Grow spreading kinds alone on the lawn, where their display can be admired from all sides. flowers, deep rose with magenta shading, appear from summer into autumn. 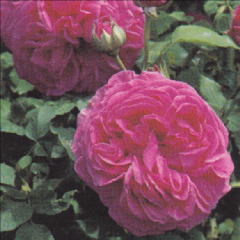 A bold, reliable gallica rose with vigorous, thorny, arching branches. Lightly scented, single, white-centred pink flowers occur in summer. May also be trained into trees. This strong-growing hybrid tea rose with erect stems makes an excellent informal hedge. Lightly fragrant, double red flowers are carried from summer into autumn. 'Iceberg' is a popular, reliable floribunda rose with strong, upright growth, glossy foliage, and clusters of fully double, lightly scented flowers in summer and autumn. autumn, it is crowded with large. fragrant, deep pink flowers with pale centres.